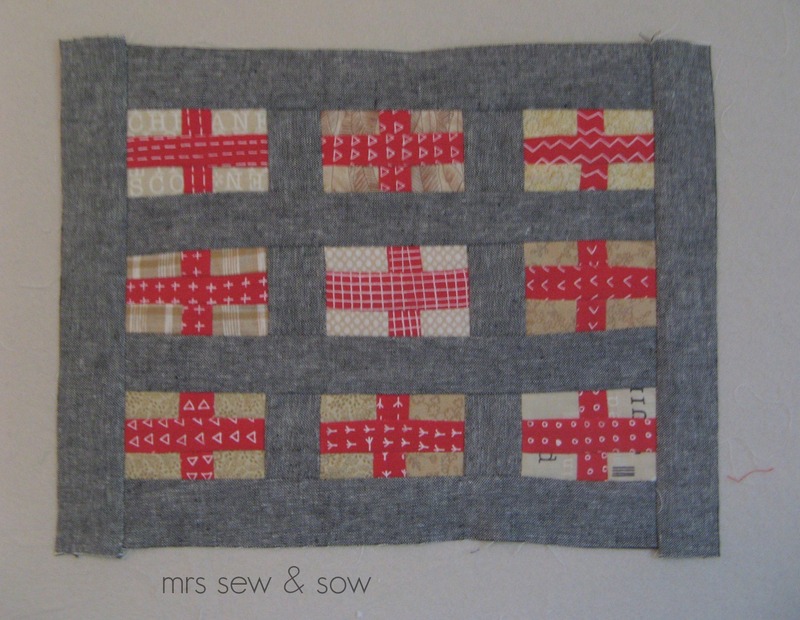 mrs sew & sow: How do you do what you do to me? Eee! These are gorgeous! I know why you couldn't resist...I barely did myself. Enjoy every bit of your time playing with them. Yum! I find I have to turn the other way when Karen shares new things! Hee hee!!!! Love these - they'll make a great tote! Wonderful! Love the chunky looking crosses! These are great Nicky! 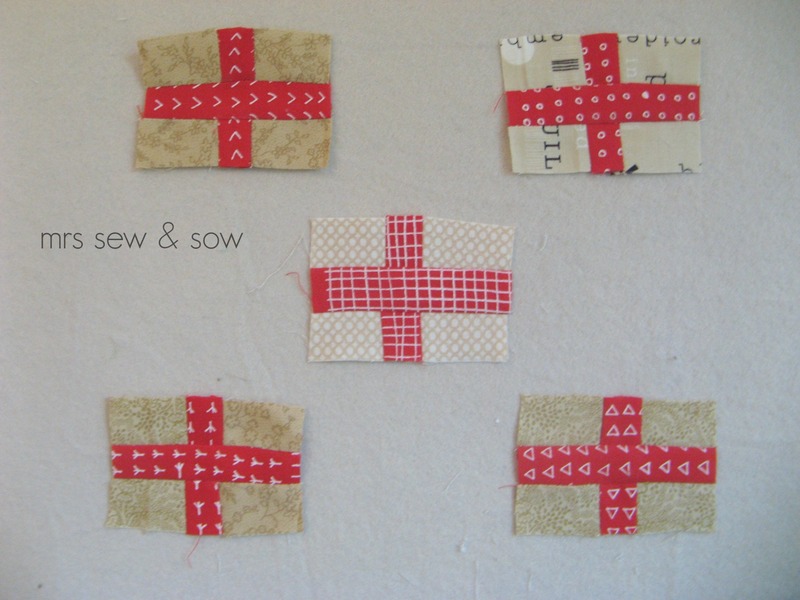 Are you going to do some Scottish Saltires with the blue fabric? Karen prints such gorgeous stuff - lucky you! Love the crosses! AWESOME beyond AWESOME, Nicky!! thank you for not being able to turn away and thank you for making such AMAZING things with my fabric...can not wait to see the pouch and tote! OH NO I love this quilt , I would make it into t a little quilt for my wall of quilts! Love what you're doing with this! Karen's printing is gorgeous, as are your cross blocks! P.S. I can't help but think there's one word to describe you: incorrigible. I can see why you had to buy that fabric - yummy!! they are SO gorgeous! How big (small?) are they? I totally get how this happens. I love the little quilt/bag, or whatever it becomes. Oh I want some too! It is very lovely!